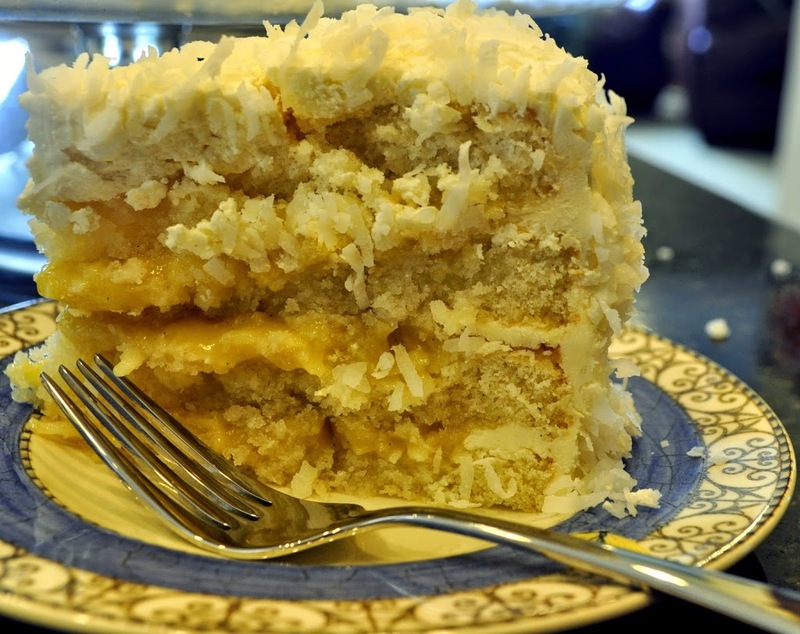 If you love coconut, this cake is for you! When I asked John what kind of cake he wanted for his birthday this year, he said, “Coconut”! So began my search for the most coconutty cake I could find. As soon as I saw Julie Ruble’s The Ultimate Moist, Fluffy, Ridiculous Coconut Cake, I knew I had to make it! 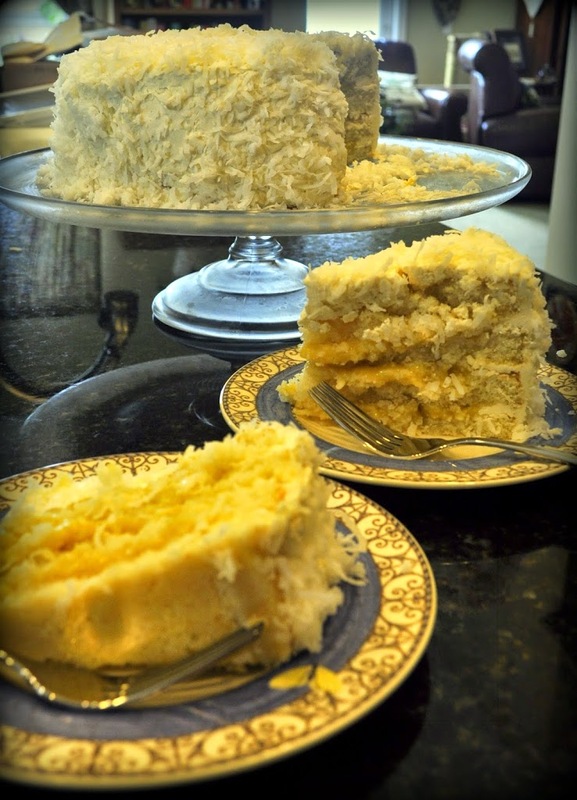 She took the best components of each of her favorite coconut cake recipes and put them all together. 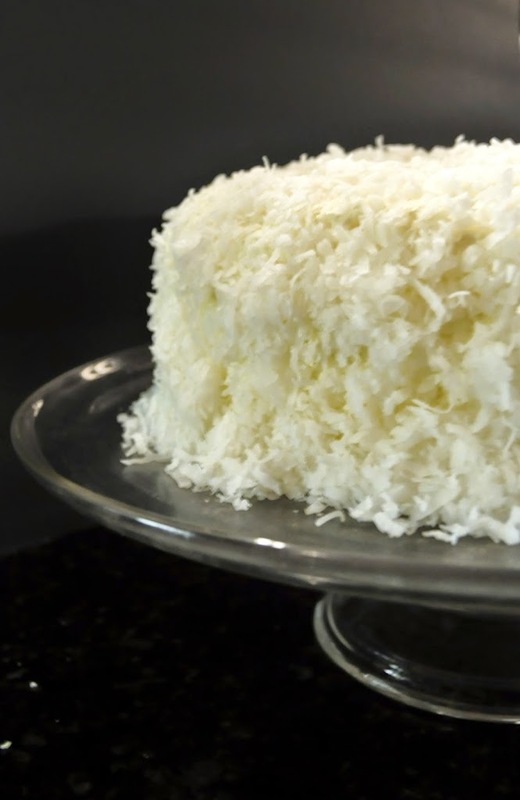 The recipe starts with a wonderful, soft white cake which is sliced in half and brushed with coconut syrup (this is the only place I deviated from Julie’s original recipe – she calls for coconut water, but I used coconut rum instead). Then coconut pastry cream is sandwiched between the layers. The cake is then covered with Coconut Swiss Buttercream and patted with coconut! Even though this sounds overwhelming, coconut is a subtle enough flavor that it wasn’t at all. It’s hard to say what my favorite part of this cake is between the perfect white cake and fabulous buttercream, but it was amazing and our whole family enjoyed it. Making this cake is definitely a labor of love so that makes it perfect for a birthday celebration! John used the leftover egg yolks to make David Lebovitz’ cooked custard Chocolate Ice Cream. In addition to this wonderful recipe, you can find Julie’s discovery of the joy of cat ownership – which we know all too well – on her blog, Willow Bird Baking. If you love to bake, take the time to peruse her beautiful blog! Happy Birthday to John, what a wonderful, delicious way to celebrate! What a lucky husband! This cake looks divine!!! Great job, Susan! And I love that you subbed coconut rum. It all sounds perfect. I knew you would come up with something special, Susan. I also get Julie’s Blog so I saw this recipe. I think if she knew that you’d used coconut rum instead of coconut water, she’d change that part of her recipe. Just gorgeous and there is no doubt in my mind that this may be one of the best cakes you’ve ever made. A labor of love is right!! !